Media / News As pecking orders go among cities, what's the place of Chicago? Reading the comments that follow my first Bleader post on Rachel Shteir's notorious book review, I spotted this intriguing observation. It's not unusual for people to look for rivals (real or imagined) to measure themselves against or to strive to outdo. Many Chicagoans look at the bigger, more prominent NYC this way; when it comes off as needy and defensive, it's not attractive. But Chicago is hardly alone in this dynamic. St. Louis feels this way about Chicago, Kansas City feels this way about St. Louis, Wichita feels this way about Kansas City. Where would the world be without the hierarchies that define the place of corporals in combat and salarymen in Tokyo? Yet I think the thoughtful author of the above would agree that the dynamic is not simple. For instance, what is this defensiveness that Shteir's review unleashed? Is it Chicago's defensiveness about New York, or its defensiveness when accused of being defensive? It's one thing for us to be obsessed by the bigger city, but another to feel just competitive enough with it that when we're accused of being obsessed it drives us a little nuts. I know how I feel about New York. My brother Pete likes living there as much as I like living in Chicago, and that's good enough for me. It's a great place to visit, as are London and Paris, and when I come home from any of these places I'm not so much grateful to be home as grateful that home is a place that's not diminished by the more universally acknowledged great cities of the world. But if Chicago dispenses Kool-Aid, I haven't drunk it. As a boy, I spent several years as an American in Canada, feeling like an outsider there, and after our family returned I felt like an outsider in the States. It was a healthy development—it's good to learn at an early age that who you are and where you live are two separate things. But let's talk about the relationship between Chicago and Saint Louis, which after Canada became my hometown. Starting out in journalism, I was the night man at the UPI bureau in Saint Louis. We answered to Chicago, and when matters had to be discussed, I got on the phone with Benjamin, the night man in Chicago. He was just a voice to me, but a voice that rang with imperial authority. I deferred to his every judgment. For so the world was ordered. Kansas City was another matter. Oddly enough, within the constellation of UPI bureaus, Saint Louis was also outranked by Kansas City. My boss despised Kansas City, and in the two-plus years I worked for him, I never heard him say a single good word for the man who ran that bureau. Kansas City was a cow town. Saint Louis was a city with a rich and luminous culture that had already given the world T.S. Eliot and Tennessee Williams and Marianne Moore and Eugene Field and now was showering it with the likes of Stanley Elkin and William Gass. To be honest, I'm pretty sure my boss had never heard of some of these writers, or read any of them. But I had. I adopted his prejudices and put a tony gloss on them. 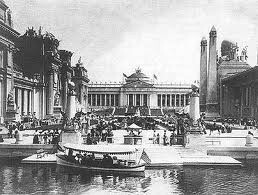 Saint Louis has not forgotten the 1904 World's Fair, and does not take kindly to the notion it's been all downhill since. The World's Fair established once and for all the notion—ratified by the 1944 movie Meet Me in the St. Louis—that there was nothing of consequence to be found in New York (much less Chicago) that Saint Louis didn't have as well. Saint Louis was not only the Gateway to the West but also the gateway to the south, which meant, of course, that on the far side of those gateways it was the gateway to the east and north. The only other city on earth that could make such a claim was Oz. Kansas City was a place you went through if perchance you had business in Omaha. So it's not, I think, that Kansas City feels defensive about Saint Louis. Saint Louis feels wary about Kansas City. And it's not that Saint Louis feels defensive about Chicago. Saint Louis simply defers to it, grandly thinking of itself as the midwest's Pippin to Chicago's Jordan. Here is a telling example of the true dynamic. The federal government is spending $1.2 billion to connect Chicago and Saint Louis by (sort of) high-speed rail. Saint Louis's role in this gargantuan capital investment is to provide the gleaming new tracks from Chicago with a destination. Otherwise, they would simply go out of town a few miles, make a circle, and come back. Chicago could not be Chicago if Saint Louis were not down the road being Saint Louis. It’s a crucial role, and my hometown is cool with it. And it's not that Chicago feels defensive about New York. Most Chicagoans are just fine with New York. Shteir's review and the more vituperative reactions to it share the same deficiencies: lack of a sense of perspective, a sense of proportion, and a sense of humor. It's unfortunate, for the point of living is to outgrow these wacky imbalances. As a postscript, I want to mention that when I moved to Chicago I got to know Benjamin as something besides the Voice of Rome. He's a good guy, and we're in a book group together. And the year after I moved here, my cousin Pam married the son of the hated bureau chief in Kansas City. The whole family's lovely.